The Union government has decided to crack down on the operations of the Manipur-based Revolutionary Peoples' Front. 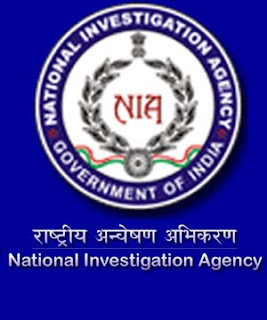 The National Investigation Agency will soon draw up a comprehensive plan to neutralise the various modules of this group. The Revolutionary Peoples' Front, which enjoys strong links with extremist groups based in Bangladesh, is becoming a menace for the central government. The Front, while seeking 'liberation' for Manipur, has been involved in as many as 15 disruptive incidents this year. It has also opposed major decisions like the Union government's efforts to extract oil. The RPF is the political wing of the People's Liberation Army. The RPF has today positioned itself as a government-in-exile -- with its own social welfare and finance departments -- and operates out of Bangladesh. The RPF is purportedly trying to unite all the ethnic tribal groups in Manipur. The Revolutionary People's Front was formed in 1989. Today it has four divisions -- Sadar Hill West areas of the Valley of Manipur, Sadar Hill areas in the eastern Valley, the entire hill areas in Manipur and the entire Imphal area. RPF has enjoyed considerable political patronage till now and this has forced security agencies to stay away from it. Bangladesh's Directorate General of Forces Intelligence and the Inter Services Intelligence have both kept an eye on this group to further their agenda on Indian soil. Over the years, the RPF has gradually taken a more violent stance. The NIA will have to deal with political interference as well as track the sources of funding for the RPF. According to sources in the NIA, the outfit used to make do with donations, as several locals supported this cause. Today, it receives financial support from both the ISI and the DGFI. The group also owns a considerable number of sophisticated weapons and it may be enjoying the backing of State players. The NIA will also have to deal with sympathisers of the RPF on Indian soil. "We need to break the political links of the group and block their finances. We also have to look into the diplomatic issues involved in this case. The job will require at least a year since we need to first draw out a map of their operations and then get cracking on the case," said an official of the NIA.